I used the paint scheme for the D'Yanoi Sept from the first sphere of expansion. To be honest, I doubt they would have a riptide since they are considered experimental. 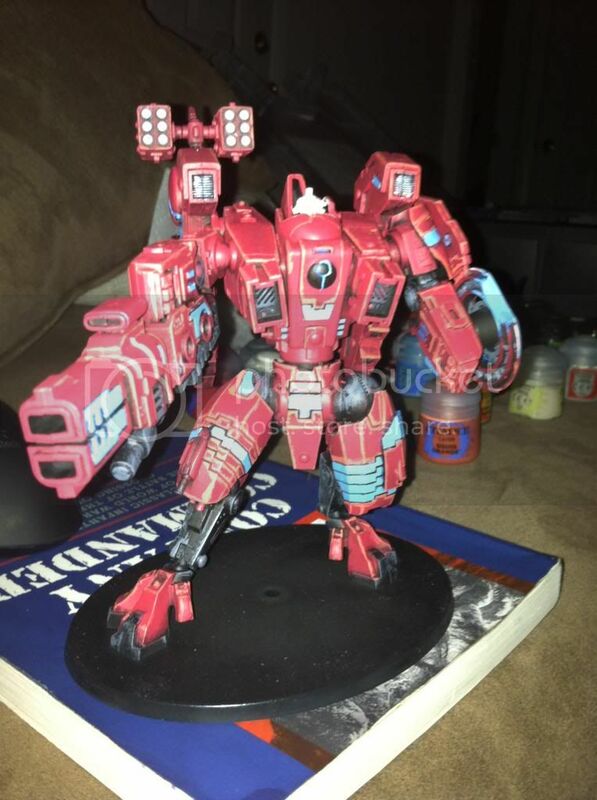 I wanted to paint them red and the second best option was the Farsight Enclave. Since I run them with allies to my Ultramarines I didn't see Farsight playing nice with Space Marines. The SMS stick out a bit because I have magnetized them. I am a big fan of the SMS though if I every play more aggressively with him I want to be able to switch them out for a FB or PR.